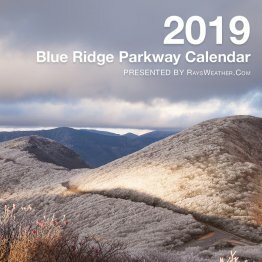 The 2019 Blue Ridge Parkway Calendar features 50+ photos from all along the 469 miles of the Blue Ridge Parkway. The selected photos are winners in the RaysWeather.Com Blue Ridge Parkway Photo Contest. © 2018 - 2019 RaysWeather.Com. Ray's Marketplace | All rights reserved.